This is a guest post by Mike Seeklander reposted from his blog. We have something in common, and that is the both of us (unless you chanced upon this blog by accident) probably want you to be a better shooter.” This is deadly serious. Why? Simply because failing in a defensive scenario is NOT an option! As I said before: I challenge you to follow each list item, and if you don’t improve significantly, you get your money back…(ok I know this is free so that won’t be much). A couple notes, this post is geared toward a concealed carry holder, law enforcement and security, and others that might be primarily relying on shooting a handgun better. In addition, I am writing this with some biases, and not all of my list items are directly related to just shooting. I did this because using a handgun for defensive uses might require more than just shooting skills. 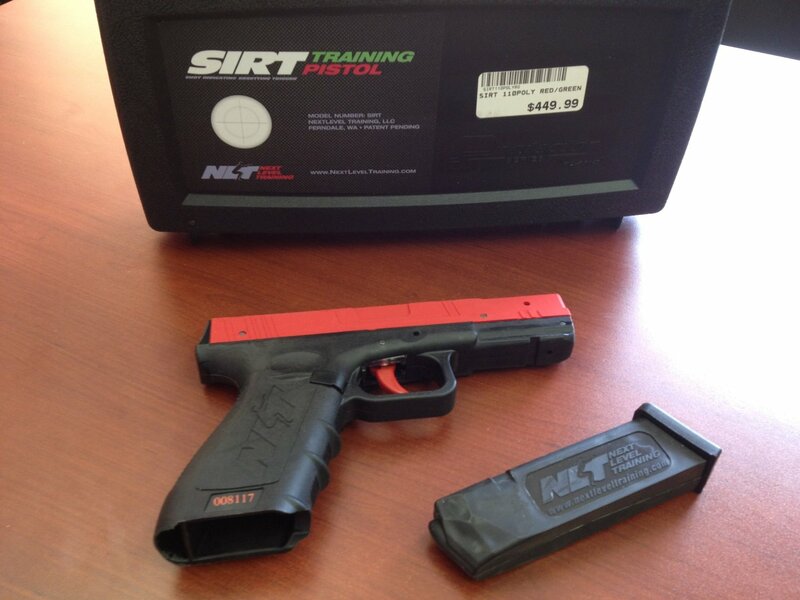 Invest in and use a SIRT pistol in your practice sessions. 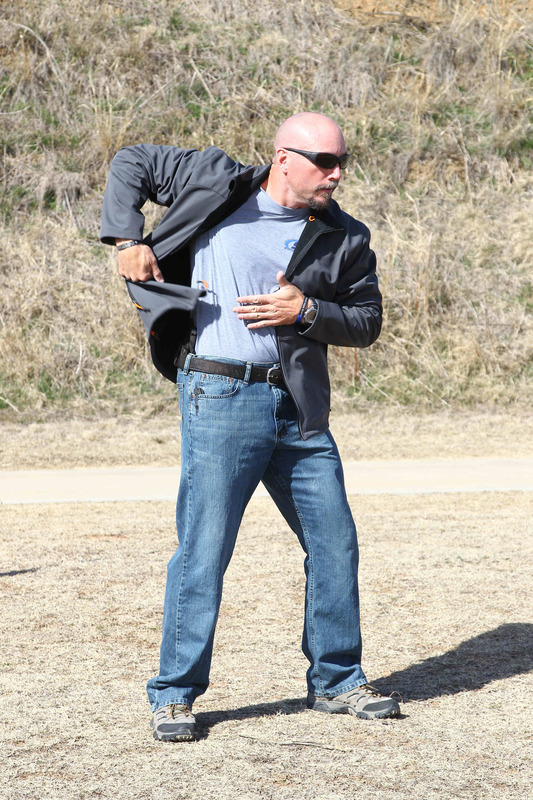 The SIRT pistol was developed by Mike Hughes of Next Level Training in Washington state, and is a great tool to use to develop good grip mechanics and trigger manipulation. The pistols have an integrated laser that emits from the muzzle on both the trigger “prep” area and full trigger pull. You can actually set the guns up so that they emit one color laser when you prep the trigger, and another color when you press through the trigger pull. 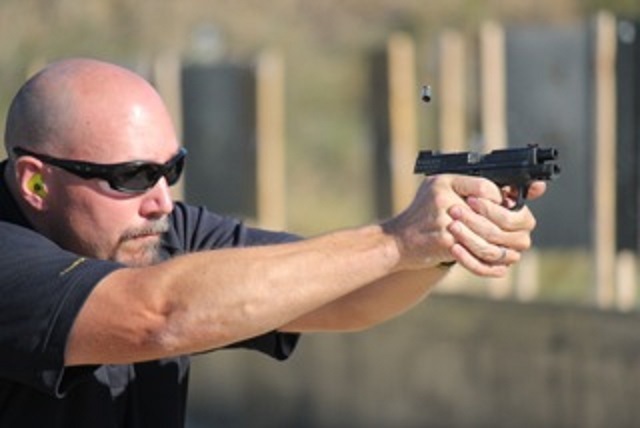 The practice benefit is that you can safely train multiple fast trigger pulls and teach yourself to accelerate through the pull (like you will probably do under stress) without moving the gun. The gun emits a laser pulse each time you pull the trigger, so if you are moving the gun you will see the laser hit the target and make a dash versus a dot. I actually use them while I am working out in my gym in between sets, as well as to work close quarters positions and integration of gun/strikes. By the way, it really doesn’t matter what type of gun you carry, a SIRT will still benefit you by giving you feedback on how you are pulling the trigger. I strongly suggest taking a class early in your shooting development to help prevent bad training habits! Commit to a routine physical fitness program. This one was important for the competitive shooters…but CRITICAL for you. The fitter you are the better you will be able to perform under stress. I will soon be posting more on some very functional routines in the fitness area of this blog, so stay posted. Also, I have read some of Pat Macnamara’s stuff and suggest you follow some of his fitness stuff in Recoil Magazine. (find Pat M. here too) If you want a completely different approach on fitness and diet, amount other things, I strongly recommend you take a look at a book call Four Hour Body by Tim Ferris. It is life changing for those that have little time and want results.